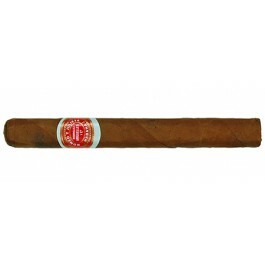 The Romeo y Julieta Petit Julietas is a smooth and spicy mild-medium Petit Corona, 3.9” (100mm) long, of 30 ring gauge, and comes in a 25 cigars box. Fine gauge cigars are always difficult to roll. However, this has meant no obstacle for this 'almost mini cigar' by Romeo y Julieta, one no more suitable for a cocktail or an entreactos than for any other occasion.